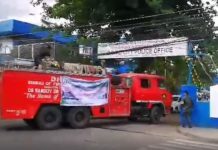 DAVAO CITY (MindaNews / 10 Nov) – The military and the police are either clueless about the existence of the Bagani armed group in Arakan, North Cotabato, or just turning a blind eye on the group’s existence, according to members of the House Committee on Human Rights who conducted on-site hearings here. Both the military and the police admitted Friday that they do not have any idea whether or not the Bagani force, which is allegedly responsible for the killing of an Italian priest last year in Arakan Valley is an armed group, but said the group exists. Fr. Fausto “Pops” Tentorio, a member of the Pontifical Institute for Foreign Missions (PIME), was shot in the compound of the Mother of Perpetual Help parish church in Arakan on Oct. 17, 2011. At the two-day congressional hearing on human rights violations held here, some witnesses said Thursday the Bagani force was led by Jan Corbala, also known as Kumander Iring. On the second day of the hearing, on Friday, military officials claimed that Corbala is a member of the Bagani, but he is not in any way officially connected with the Armed Forces of the Philippines (AFP). The military also told the House Committee on Human Rights that they do not have any idea whether or not the Bagani group is armed. Bagani: a “tribe” or an armed group? But ACT Teachers partylist Rep. Antonio Tinio countered that there is no IP group called Bagani. “To my mind, Sir, there is a Pulang Bagani Command,” Tutaan replied, citing that it was under a certain Leoncio Pitao known to be operating here. “Well, that would be an organization. Bagani is not a name of an indigenous group,” Tinio stressed. It was Lt. Col. Jose Maria Cuerpo II, commanding officer of the 8th Infantry Battalion, 4th Infantry Division, who told the body that as far as he knows, the tribe in Arakan is Pulanginon Manobo. Asked by Tinio if Bagani members are warriors of the Pulanginon Manobo tribe, Sedillo said it was more on security arrangement, protecting their community and family. “So they have guns to protect their life as part of their culture?” Rep. Neri Colmenares of Bayan Muna partylist asked the military official. “I’m not in the position, your honor, but people do have guns. It’s their way of life,” Sedillo said. “As far as EastMinCom is concerned, they are not aware of the existence of this warrior group in Arakan, this armed warrior group in Arakan. 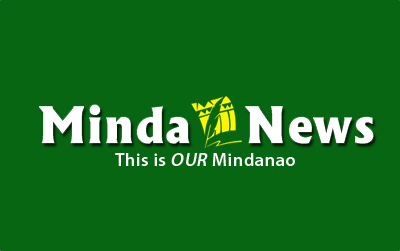 No one is aware in the EastMinCom,” Tinio said. “Again, your intelligence sources and your forces on the ground, you’re not aware that there are armed men, and that they are organized in some sort of paramilitary fashion. That’s why they have a commander. You don’t know this?” he asked. “Are they armed?” Tinio asked. “Well, I don’t have data for that,” Sedillo replied. Tinio said he was very disappointed that the military, considering their intelligence and other resources, cannot even categorically state whether or not there exists an armed group such as the Bagani. 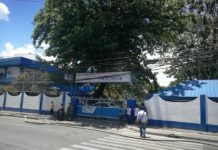 He noted that witnesses who testified on Thursday stated outright that the Bagani is an armed group and it seems to be a common knowledge in the community. Senior Supt Roque Alcantara, provincial director of the Philippine National Police (PNP) in North Cotabato, also said that he is not aware whether or not the Bagani is an armed group and that so far he has not received any complaint against this group. “Do you know whether or not they are armed?” Tinio said. “I don’t have any idea sir,” Alcantara replied. “You don’t have any idea. I hope this committee will take note of this fact that both the PNP and the AFP seem to be totally unaware of the existence of this Bagani group,” Tinio stressed. He added that the AFP and the PNP could have failed in their intelligence and information gathering or are only turning a blind eye on the existence of the Bagani group. He suggested that the state forces immediately investigate to verify the existence of such group. Consequently, the House committee directed the AFP, the PNP and the Commission on Human Rights (CHR) to furnish the committee with any information that they have regarding the Bagani group. Lawyer Christina Hawtay Jovero, officer in charge of CHR-12, cited earlier in the hearing the allegations of the community and local non-government and civil society organizations that Corbala and the Bagani group are armed by the military. “And provide for preventive measures and legal aid services to the underprivileged whose human rights have been violated or in need for protection,” he added.